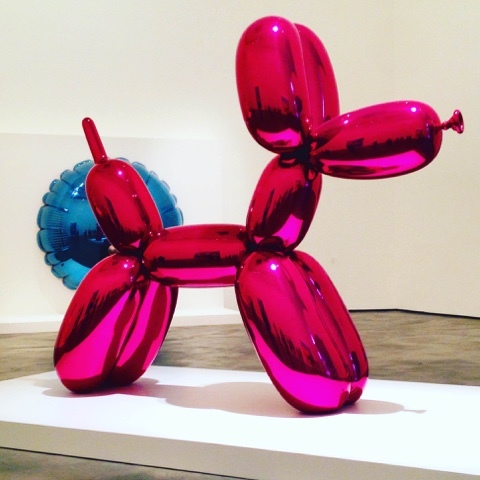 As well as seeing my loved ones, eating great food and hoping to get a bit of colour on my face (that didn’t happen), one of my other tiny reasons for wanting to go back to my home town in Spain in September was because I was a little too excited about Jeff Koon’s retrospective at the Guggenheim Museum. I have been obsessed with this man’s work ever since the Guggenheim first opened in Bilbao – from Puppy to tulips, his ridiculous pieces always put a big fat smile on my face. 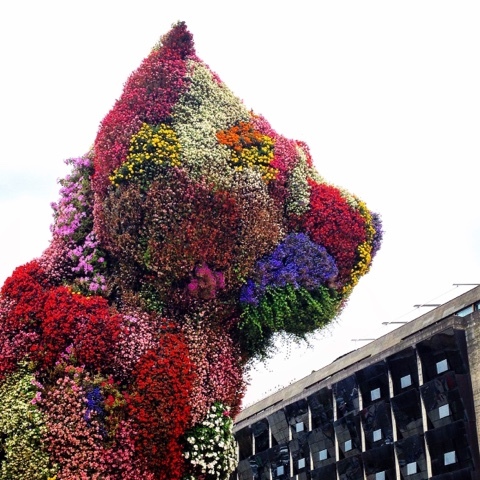 Call me shallow, but what’s not to love about giant balloon dogs and a giant dog made of flowers? This is, of course, my favourite piece. Everyone should have a giant pink balloon dog in their lives. This lobster dude is pretty ridiculous – but he’s fun and takes a good photo. 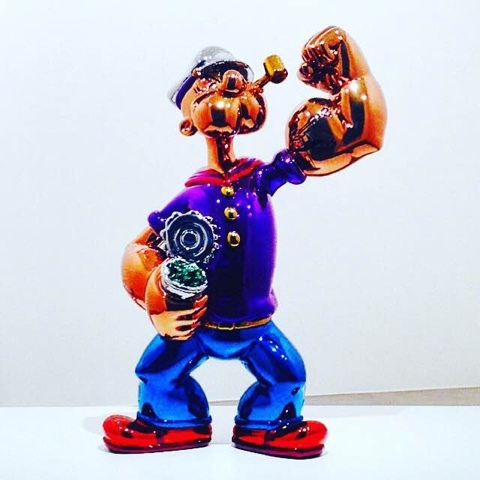 How amazing is this Popeye? He’s never looked this good (or lavish). 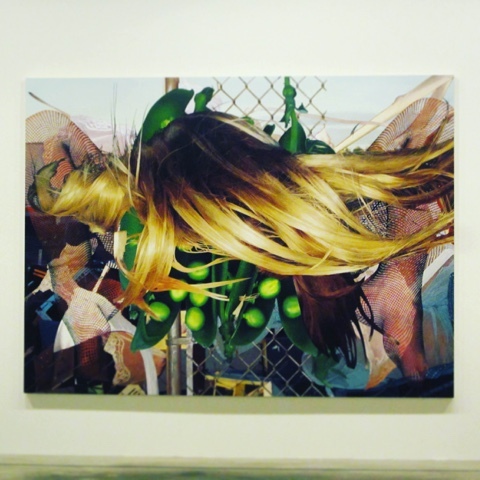 If Jeff Koons actually paints these amazing paintings, he’s bloody gifted. I love hyperrealism and found these bizarre and elaborate collages fascinating. They reminded me of the work of another sort-of-pop artist and one of my all time favourites, James Rosenquist. One of the rooms featured Classical Greek sculptures holding metallic balls. I found these homages to classical Greek sculpturors interesting, but ultimately not as interesting or eye-catching as his other work as it’s essentially a copy and reinterpretation, no? The exhibition consisted mainly of his awesome paintings, cute toy-like sculptures and stranger pieces, like this Michael Jackson piece (created in 1988, long before the darker and much-publicised periods of the singer). Don’t get me wrong, I don’t admire all of Jeff Koons’ work. 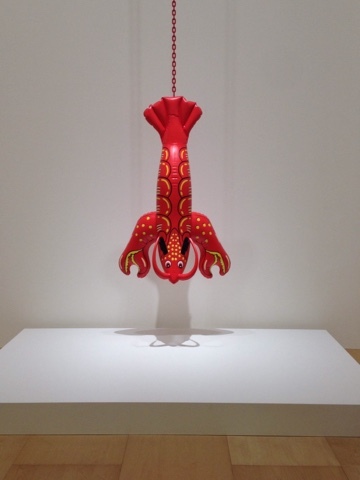 His early pieces seem to have consisted mainly of ‘found’ objects, like inflatable balloons and cheap toys – this form of art has never interested me, whether it’s Duchamp or some other ‘contemporary’ artist. I end it with two of my all-time favourite Koons pieces and Guggenheim Bilbao permanent, ‘Puppy’ (which is, let’s face it, a symbol of Bilbao) and ‘Tulips’, which I feel the need to photograph every time I see it. 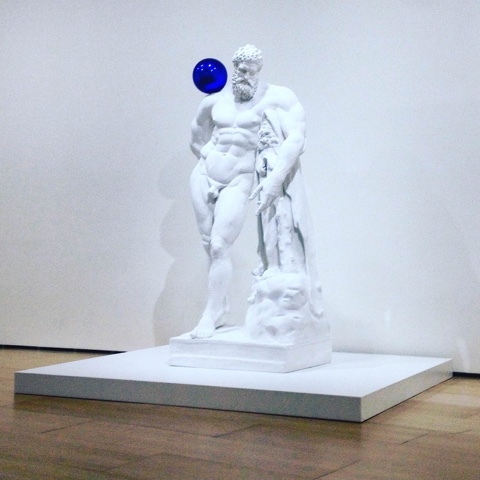 Whilst I may have a love-hate relationship with modern and contemporary art, I find it impossible not to enjoy Koons’ wacky work. One can try to intellectualise (like how the Guggenheim tried) it and say it’s a celebration of modern culture, or perhaps a reflection of consumerism, but I love it for what it is. It’s excessive, colourful, childish and silly – and I mean that in a good way. Modern art can at times be so pretentious, so what’s wrong with making art that appeals to the masses? Art really does come in all shapes and sizes – it should thrill, terrify, move, make us think, make us learn… and make us happy. 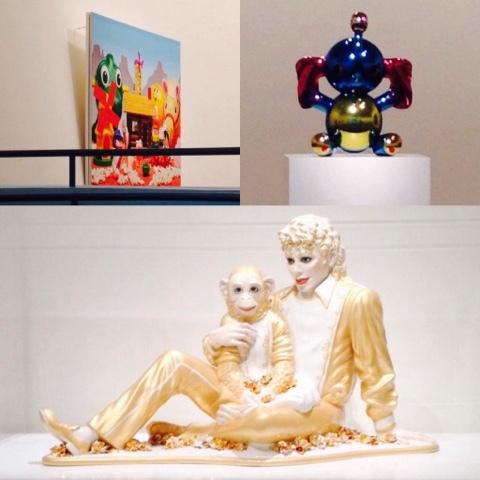 It needn’t always be deep or serious – hence why the beautiful banality of Jeff Koons is my guilty pleasure. A few days before finishing this piece I found out about the website Artsy, which strives to make all of the world’s art accessible to all. A big mission, I may add – but what a lovely website. 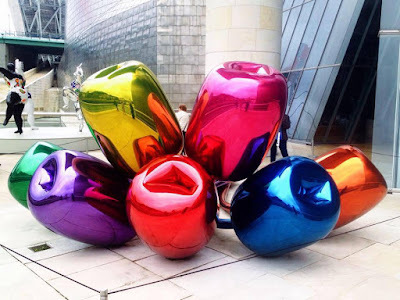 So if any of you would like to find out more about Jeff Koons and actually understand his work a little better, have a click here. This is my last Spanish throwback – my next posts will be all about London town. Photographs taken by moi on September 10th, 2015 at the Guggenheim Museum in Bilbao.